A heated pool inside or out? 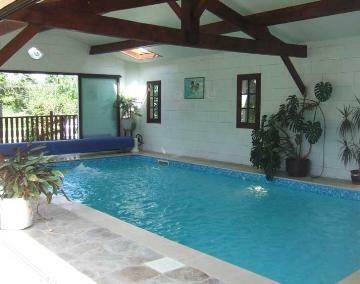 There is a lot to be said for renting a villa with a heated outdoor pool but sometimes it's better to have one indoors. There are a number of reasons why people prefer an outdoor swimming pool and the main one is being able to enjoy the sunshine whilst swimming or playing in the water, that whole feeling of being outdoors feels better. Some people just don't like swimming in water which is below 28 degrees centigrade and in some cases it's the small children who require the extra warmth so a heated pool can be a good option. The thing you need to bear in mind however is that heating a pool can be expensive and the cost will vary depending on the size of the pool, therefore the volume of water and the ambient air temperature which can be much lower, particularly at night during the low season. 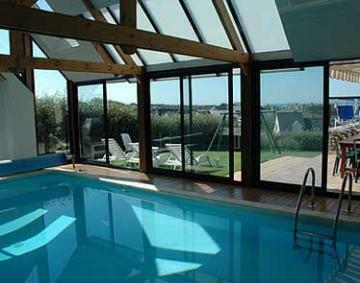 In some cases the cost of heating the outdoor pool at one of our villas is included in the rental so you have nothing to worry about other than what to do if it rains, which in general is not much other than in Brittany where it does tend to happen more frequently. Many owners understandably prefer the pool heating cost to be at a supplement because heating an average sized pool in moderate temperatures costs around £100 per week but that can shoot up to nearer £300 in October. Furthermore if no clients have used the pool heating the week before you may well have to start the heated two or three days before you arrive to ensure the temperature is right for your holiday. That is when an indoor pool comes into it's own as the temperature is much more easy to control. So if you are thinking of a holiday in a villa with a heated pool just make sure you check all the details regarding the pool heating costs before you decide whether to opt for an indoor or outdoor swimming pool.